Take $1.35 of thrift store bric-à-brac, toss in a few spare parts from your electronics drawer and mix it all up with an earnest desire to alienate your loved ones forevermore and what do you get? 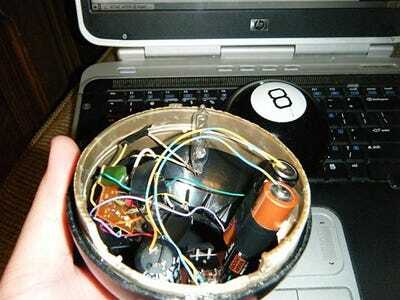 A booby-trapped Magic 8-Ball, that’s what! 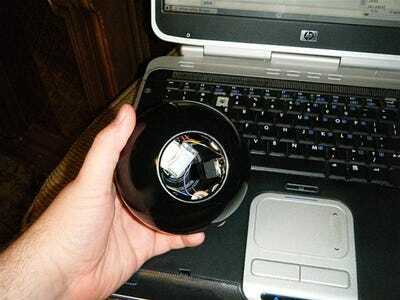 Via Magic 8-Ball Booby Trapped with Camera Flash on WonderHowTo.